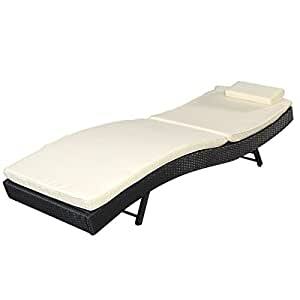 This is our Outdoor Adjustable Patio PE Wicker Pool Chaise Lounge, which is really utility and functional for your daily life. Durable Steel frame and PE rattan are sure to be a reliabe Patio Furniture for your home. What’s more, it has an adjustable angle back . If you are looking at it ,don’t hesitant to buy it from our store!